What To Do When Someone Gets Sick In Your House? When someone in your family falls sick, other members are also likely to catch the problem because germs are spreading in closed areas more. So, when our in-home healthcare doctors visit houses to check patients’ health, they advise people to take a great care of the situation and don’t let the germs affect your health. On-call doctor demand service is spreading across the globe because it is convenient. Doctors are able to give an undivided attention to the patients’ care which is very much necessary. At MedHouseCall, you will not only get a licensed physician to treat your problem but also know about some general healthcare issues that protect you from common conditions. You must be aware of dos and don’ts when your family member gets sick. Some simple steps help you protect the health of others as well as yours. Wash your hands often: Wash your hands often with soap and water for 20 seconds. Rub your hand and clean in between your fingers and under your nails. Don’t touch your mouth, face, and nose often. The hard surfaces should be cleaned using disinfectant so that you can stop the spreading of germs. Clean tables, refrigerator handles, doorknobs, and other places. You can sanitize TV remotes, computers, laptops, and phones. Use a disinfectant to clean the areas to kill all germs. A strong immune system protects you from diseases. Eat fruits and vegetables to boost your immunity system. Daily exercise and limiting alcohols prove to be really helpful. Vitamin C improves your immunity system. Instead of your hands, cough into your elbow. Keep the sick person’s toothbrush separate from others and throw the brush once he/she gets well. Don’t share blankets or pillows with the sick person. These are the things that help you stop spreading the germs to all your family members. 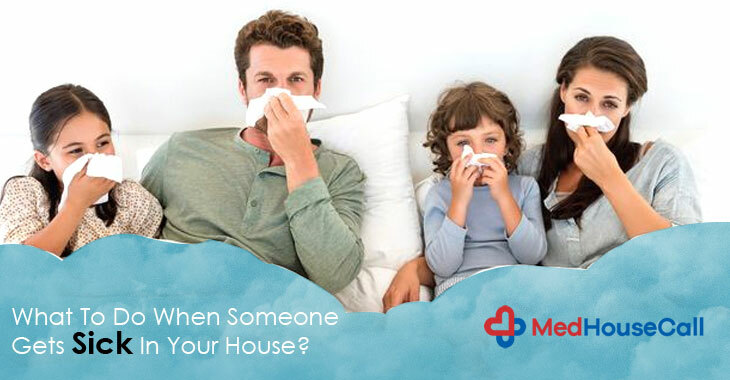 Our home visit physicians notice that if one person gets sick in a family, the others fall ill as well. These dos and don’ts help you keep your family safe. If you need medical help and advice, contact MedHouseCall. We are working with the Public Health Agency of Canada and improve the healthcare system of the place. Previous Previous post: Why Do You Need A Family Doctor?